Christian DelToro – Bloomfield Law Firm, Frank J. Martone, P.C. 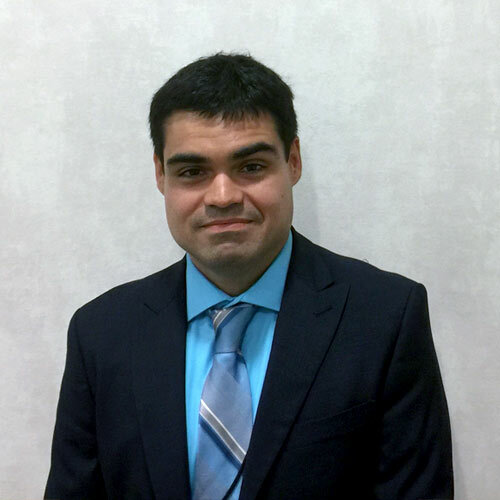 Mr. Del Toro joined Frank J. Martone, P.C. in May, 2017 and has been personally involved in all aspects of the firm, including: preparation of pleadings in bankruptcy matters, appearing and participating in foreclosure mediations, making Federal, State, and Municipal appearances, and handling real estate closings. As an individual who learned foreclosures and bankruptcy from a processor level, and moved upward, he is intimately familiar with processes involved. Mr. Del Toro has worked in the consumer bankruptcy field since 2010. He started working with McCabe, Weisberg, and Conway PC on foreclosure and bankruptcy matters as a paralegal while attending law school at night. In 2012, he began working at a large creditor’s rights firm focusing on bankruptcy matters for the states of New York, New Jersey and Connecticut. Throughout his career, Mr. Del Toro has concentrated primarily on matters involving bankruptcy and foreclosure. This includes pleading preparation, review of collateral documents and assisting in loss mitigation matters. He strives to exceed client expectations and deliver valuable legal service and advice. Mr. Del Toro is a graduate of Fordham University where he received his Bachelor’s degree in 2004. He received his Juris Doctorate degree from New York Law School in 2012. Mr. Del Toro is licensed to practice law in the State of Jew Jersey.